BloggingLove Theme - A New Era For BloggingLove And Its Readers. BloggingLove Theme – A New Era For BloggingLove And Its Readers. Here I am with the BloggingLove Theme to provide a new era of theme development and designing. I have been working on this WordPress for a long time. Finally, I got the success and you all are the reason. I always believed that think about the readers and take every possible action to make them comfortable. My previous theme design which was active on this blog was a quite slow. But now, a brand new WordPress theme is live for you. There are many theme platforms when you build something of your own then it’s not worthy to use any other product. A Few Specifications of BloggingLove Theme. The BloggingLove Theme is free for all the users. If you want this theme to run on your blog then let me know and I will provide it to you. There are many design aspects of this WordPress theme. You may be thinking why is it different from other themes? Let me put some light. BloggingLove theme has covered all the aspects of the SEO required. In WordPress themes there many things which are required for the better SEO. The logo heading of should be tagged as the “h1” heading and the same goes for all the posts. There should be the name of the blog on the first page and when you open any post then it should appear in the browser’s tab as the title. The WordPress functions for both the things should be added in the title of the WordPress theme. The theme should support the SEO plugins so that you can install the plugins for doing the SEO of your blog. There should be an archive page which can manage the posts, pages, author etc. This theme has the ability to run on all the devices, If you open it on the desktop then it would appear as the full theme. If you open it in the tab then it will get adjusted. Every portion of the BloggingLove Theme will get adjusted according to the screen size of the device. There are many screens available in the market. The iPhone screen is not the same as any other android phone. The iPad screen is not same as other pad. This theme will run on every screen resolution. BloggingLove Theme is developed in a way that even the beginners can understand the coding. There is nothing mismatched with the codes in any file. For every section, there is a comment mentioned. You can easily distinguish the codes for all the section available on this theme. You can edit the code of every file. Sometimes, you may in need to add some extra features then you won’t face any problem. The size of the theme is just 30kb after expanding and just 11 kb when compressed. Your blog won’t take much time to load the theme files. You will get the “A” in the speed record. You may use the caching plugins to minify the file sizes, but here you get it inbuilt. You won’t need to think about the page size of your website. If you want to publish a custom post like providing the “link post, aside post” then you have to choose just an option from the theme. You can show the aside post like the sticky posts on your blog. You can form a gallery using this theme. It will show as a “gallery” post. If you want to publish a post to show the link of any other website then it would be easy. 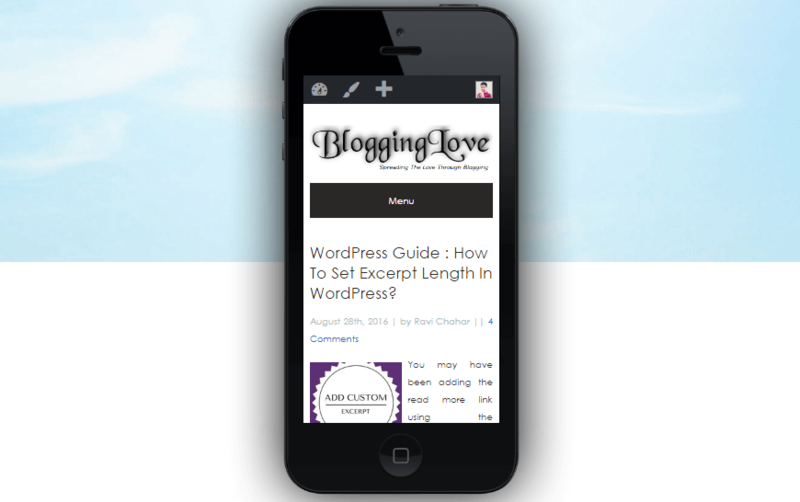 In the BloggingLove Theme, you can upload the custom header image and the custom background. You have to choose the image and upload it from the theme customizer. You may have seen that many websites are using the background images. Now this is possible with the use of this theme. BloggingLove Theme consists an inbuilt search box which can help you to find the content of the website. 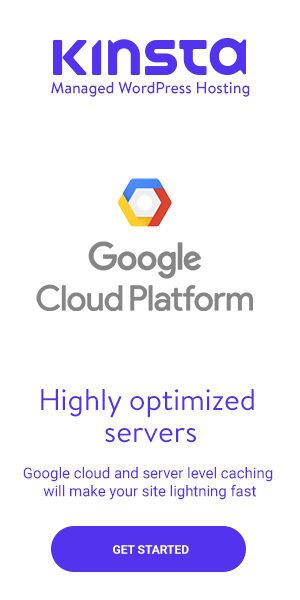 It has improved by providing some specific conditions so that the users won’t face any difficulty. If you want a WordPress theme with the proper search form then this is it. You can use it on your blog which can enhance the user experience. You can see that I have enabled three sections in the footer area. You can show your bio or the recent posts in any of the sections. Just place the content in the footer section from the WordPress widgets options and you would be able to see it here. In the sidebar section, you can show the social connecting buttons using any plugin or manually. You can add the Google badge or the Facebook like box. The read more button for every post is dynamic. When you hover on the button then it will scale from both the sides with an arrow to point for the full article. Along with the main navigation menu, the footer menu is also included. You can show your pages or any special link in this menu. I am sure, you would like to show something important. As we all know that the contact us and the about us pages are really important and we should let people know about them. You can add those pages in this menu. An amazing and responsive drop-down menu is included in the BloggingLove Theme. You would see the opacity as nearby 1 so that the drop-down menu is a kind of translucent. You can add the items under one category. If you don’t want to increase the length of the navigation menu then you can use the drop-down menu. When you open this theme in the mobiles then you will see a button for the menu. When you click on that menu button that the navigation menu list items will slide down. It is important because the small screen phone users would see the full navigation menu which would acquire the full screen. So to make it responsive a button is added. We all know that the copyright is so important for our website. I have enabled the dynamic year changing feature. You don’t need to fill the year. The BloggingLove Theme will take care of that. Your website name will appear for the copyright text. Just fill it in the WordPress admin area and see the footer text with the copyright. You can set the blog page showing the latest post and a custom home page to show the featured article and the posts from your categories. I can set up it according to the categories you use on your website. The featured post will be showing at the top and the category posts will show along in two layouts. Two posts from each category. If you are seeking a WordPress theme with the small size, responsive menu, mobile-friendly, customs features then BloggingLove Theme is your destination. You can get all the premium features in this WordPress theme which can help you to improve the speed of your website and look it professionally. A Must Have WordPress Theme – BloggingLove Theme. As you can see the live demo on this website. 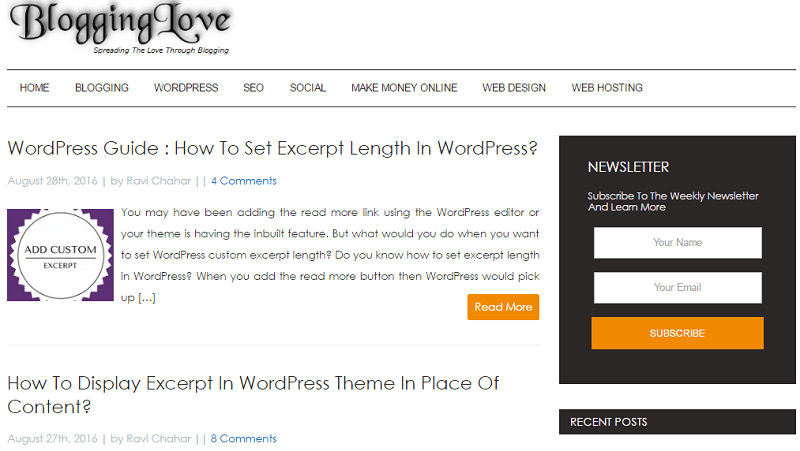 This is the BloggingLove Theme and you can give a new look to your new WordPress website. This theme is compatible with most of the plugins. I have tested around 70 plugins which are used on the WordPress websites. BloggingLove Theme is my first WordPress theme with all the possible features required in a theme. You would be happy to see the page size of your website after installing this theme. I am glad that finally, I have finished the work and here I am to provide the WordPress theme. I hope this can be something which you seek for your new blog. If you have anything to know then feel free to ask. 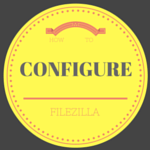 How To Set Up Filezilla Server Using The Site Manager Option? Elegant look with an amazing speed! Tried with mobile, Ipad and Desktop all the three the loading is very good! Lightning speed!! I appreciate your talent. Almost all plugins (70) support that is more than enough. Need to try it out! Hey whats the price tag? The BloggingLove Theme run on all of the devices with the same speed. When you open it from the mobiles then the speed will increase due to the reduction in the codes. The navigation menu will be showing as the button using which you can click to see the navigation menu. I have checked almost all the common plugins and it’s working great. The price is nothing. It’s free for the readers of my blog. Thanks Ravi for the quick response! It is indeed amazing to know that it’s totally FREE! Good. That really deserve again more appreciation! I have developed this theme for the people who struggle to get a good theme to start blogging. It’s not possible for the beginners to buy a theme or any framework. So, it’s free for them. I hope they don’t face the problems I faced in my starting days. Hello Ravi! All I can say is WOW!! Congrats my friend! What a great Theme! You Are Amazing! Keep up the great work.. I am glad that you liked this theme. I hope for the best. Congratulations Ravi! I’m so happy for you! This theme looks clean cut and informative. I love all the white space. So did you build off of Genesis Framework or did you develop the code for the whole thing? Either way, fantastic job! I have developed it from the scratch. I am not using Genesis so I thought to provide a theme which can help the people to provide the clean design for their blog. I have designed it according to the level of a professional blog. I hope this can help a few people. Thanks Brenda for always be here to support. It’s good to hear from you. I hope the theme would fulfill the expectations and help others. The only question I have is this: Can you customize the colours? Currently, the theme supports the edit of link colors and the background colors. I am going to add the custom CSS option so that the users can customize the theme from the WordPress admin panel only. I customize the colors using the CSS file. It looks like that you have developed a good theme. So, congrats bro and keep up the Good work. I just tried to build a theme which can have the clean vision. Hopefully, this will pass the test and I will upgrade it. Well thanks for writing a detailed review about your blogging love Theme which is in fact an amazing theme for bloggers. Though you can see the results live on the blog. This is the live demo for the BloggingLove Theme. I am sure, it would be something unique in its segment. Thanks for taking the time to go through the post. First I have to say Congratulations! Love this theme! It looks amazing both on computer and especially on the phone. I like all it does and its simplicity. The best part is the speed. That’s what we all need these days. You know I’m going to shout this one out! The speed is the best thing I have focused upon. It is because there are no dynamic codes used which would possibly increase the page loading time. So I tried to keep it simple yet effective. It’s good to know that you liked it. Thanks for the support Donna. I love how clean and elegant everything looks. I know how important it is to have a mobile responsive theme. Sure enough, I pulled it up on my phone, checked out the menu and yep – it looks fantastic. Congratulations! You ought to be proud. Great job. Already shared. I have tried to optimize this theme all the possible devices. I am still working for the better options. The design aspect of this consists the clean and effectiveness. I have tried it on the different screen sizes and many plugins. Hopefully, it works fine till now. It’s about time you start making the $$$$$$$. I now understand why you sound technical, too. This is what I cherish. It’s clean. I love reading from clean and simple pages like this. Money isn’t the main thing. If you have something amazing to provide then your readers would be happy to have that. This theme would be free for all of my readers. Being a tech savvy guy, it’s quite amazing to see the design and the results. Well done on your theme development. It looks great. Really generous of you to make it available for free to readers of your blog. Developing a WordPress theme is a kind of hard task. It takes the time and the skills. Thanks for taking the time to analyze this theme. Congratulation for being successful in bringing out such a good theme in the blogging world. You’ve actually done yet another activity which many bloggers aspire to do as much as they fail to do. I am sure your theme would benefit many bloggers. And more than anything, what would be a better offer for newbies than getting such a theme for free. You rock bro. Keep going! For beginners, it’s kind of hard to search for a perfect theme. They struggle a lot and find nothing. In my starting days, I had to seek for many days to find the right theme and finally I designed the Thesis theme. And now the self-developed WordPress theme which can help the people who want to build a professional blog. I would say that you have done a great job in the theme development. Many Congratz. Your theme looks precise with no distraction elements as well. While reading this post, I came to know that it supports all the essential features for the bloggers to perform well on search engines. I like the neat design, Footer section, subscription widget and homepage as well. May I reach you to get the theme for free? Keep your good job, keep going. The BloggingLove Theme consists the most of the things required for a nice theme. The newsletter box is added in the PHP coding directly by picking up the form actions from the email providers. So it would be different for all the other people. Currently, the theme is for the live demo. I will provide this theme after a few days because I have test it on the online server and find the bugs if any. It would always be free. Thanks for taking the time to look upon this theme. 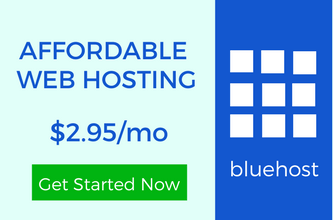 Trust you to come up with something wonderful, especially as you are so much into WordPress! Yes, it does cover up all the features any WP lover would look for, and I’m sure it’s going to do extremely well. It’s because all of you believed in me and supported me. I was working on the theme development from a long time and now got the results. I have tried to add the main features which should be required in a WordPress theme. But still, there are many improvements required. I am trying to improve it. It’s a Simple, Amazing and Elegant Theme. I ll refer it to my friends and trainees. Thanks for Share. I am glad that you found it useful. Thanks for the appreciation. Oh it is great specifications of BloggingLove Theme main part of this, it completely free for users. You know in this era nothing is going to free for anyone. It is great to know this free theme support the SEO plugins, archive page is also vital part of SEO plugins it is considered to manage the posts, pages and author etc. You have really explored great features of this theme and it sounds absolutely beneficial and i am also interested to use this theme and take the advantage of this tool. Eventually, thanks for sharing your informative post with us. Looking forward to your positive reply. Most of the themes are premium and for beginners, it’s not easy to afford. The main thing is that for a newbie when building blog then the starting point is to search for a better WordPress theme. 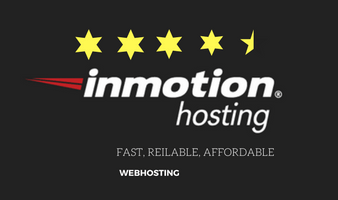 The theme presented here has all the possible features which can let you handle your website. the design aspects have been covered from the top to bottom. Glad to hear the words from you. It’s good to see you after a long time here. I love you this theme Bro. I want this theme for my blog, I will be thankful if you could provide me. It’s simple and sober. A blog should have theme like this. Thanks for let us know about it. As you can see that the theme is currently for the test and I am sure you would appreciate a theme with no bugs. So I am trying to test in all the aspects. I would provide this theme for the readers after a few days when after the completion of the testing phase and some more features will be there. Ravi, well done for your work and I am sure the satisfaction you will get from this is well-deserved. Can I ask the main purpose behind developing this theme? Is to for others or is it for your own use as well? or perhaps both reasons combined? Lastly, with growing and changing WP environment, do you intend to keep working on this theme for foreseeable future as well? The purpose is that I want to provide a WordPress theme which can help everyone. Most of the newbies face the problem in choosing a nice theme and here I am with a brand new BloggingLove Theme. As you can see, I have made it live just two days ago and I am still testing it on the online server. This theme will be provided free of cost to the readers of BloggingLove. There will be many new features there in the next version. Appreciate the time you dwell here. You have indeed done something that will put you and your blog in the map. Your theme looks simple, and simplicity is the key to any super theme. Do keep it up bro, i love the energy. I have tried to put the simple design with the effective piece of code. The theme consists a lot of features which can give a new design to the blog. you did an awesome job with this theme. I appreciate you for stopping by and checking out the theme. It is always good to meet someone with the same interest. It’s the matter of the choice about the colours. I can add the button but I don’t want to increase the HTTP requests. The main purpose is to keep this theme light which can help to improve the page loading speed. Mostly the beginners faced problem to purchase themes like Genius framework, because in start they don’t have enough budget to buy such an expensive themes. Hope, bloggers get huge benefit form this fantastic theme called BloggingLove. Which is indeed a nice gift for blogging community from Ravi Chahar the developer of this spectacular theme. It’s so good to have you after a while. Most of the people face the problem with the framework because their budget doesn’t allow them to buy. So it’s important to have the theme which can let them build a better blog. I am going to provide this theme for free after the completion of the testing phase. Some new features would be theme in the next version. Great work and perfect theme. I think this theme is a result of your hard work. Blogging love is a perfect theme for all bloggers. Great job Ravi. Keep it up. I appreciate your kind words. This theme is for everyone who wants to start a new blog. And the other best thing is its free one, I will suggest all newbies to your theme as some people can’t afford money to by themes. I am glad that you liked this theme. I have developed this theme for the people who want to start their blog with a theme which can stand for a long time. The page loading time is less than 1 seconds with this theme. The demo is here for everyone. I will provide this theme to all the users within a few days. Congrats Ravi. The theme looks simple and awesome. I like your theme, It is clean and interesting. I must congratulate you on making a perfect and professional theme. I am glad that you found it effective. Hello bro, this is an awesome theme for WordPress. The way I see this theme, it will be compatible with personal blog, business and portfolio site. Good job done, have a nice day! It’s good to know that you found it useful for the different types of blogs. Great work brother. The theme is really great. I respect your hard work and time you spend to build a powerful theme and blog like this. Thank you.